Budding foodpreneurs and business owners turned out at the recently concluded Technolux Business Series featuring Taylor Soft Serve Machines and Comprital Italian Gelato and Soft Serve Mixes held last May 19, at the Mall of Kitchens (MOK) to learn more about the essentials of starting an ice cream business. The event was part of Technolux’s ongoing Business Series rolled out earlier this year and brings product demos, seminars and client trainings among other activities in key cities across the country. Participants in the recent event were treated to a highly informative presentation by Aaron Patrick Cezar, Sales Manager of Culinary Best Source Inc., who discussed the ins and outs of the lucrative ice cream business including keys to profitability using the right kind of equipment and ice cream mixes. The talk also focused on the many features of Taylor machines such as achieving the correct twirl of soft serve ice cream to maximize profitability. USA-brand Taylor is the top choice of many establishments because of its track record for reliability. A worry free and smooth operation, very important in every business. 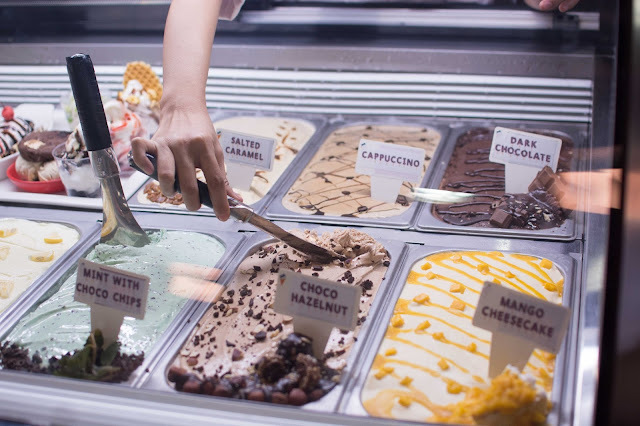 The event also highlighted the convenience, consistency, versatility and profitability of using Comprital which guarantee quick return on investments with its range of high quality, easy-to-use gelato and soft serve ice cream mixes imported from Italy. 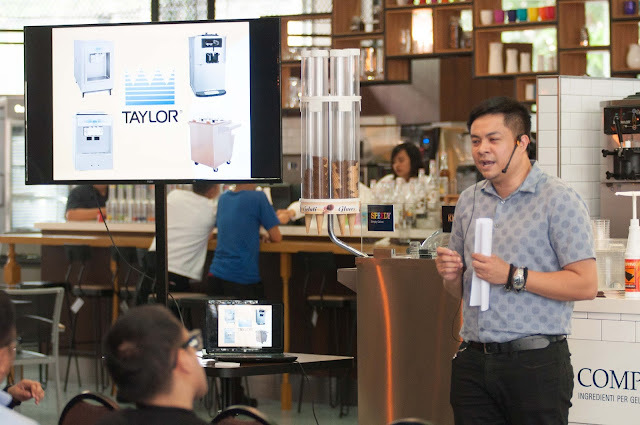 Aaron Patrick Cezar, Sales Manager of Culinary Best Source Inc., discusses the advantages of Taylor machine, highlighting its reliability which is very important in business as this gives you the peace of mind and could focus on the business itself, not if the machine will breakdown. “In any business, appearance of product, high yield or output and variation are keys to achieving a winning product and ultimately profitability. All these were discussed during the event as well as costings and ROI,” added Cezar. Cezar said Technolux was very pleased with the positive feedback from the audience, most of whom have scheduled individual demos and R&D to help them get started. The next Business Series by Technolux is scheduled on June 9, at the Mall of Kitchens featuring Vittore Italian Coffee Machines and Monin Coffee Syrups and Sauces. isit MOK located at 9703 Kamagong St.,Corner Lawaan St., San Antonio Village, Makati, call Technolux (896-4941 / 899-5012 / 890-6758), check Technolux.net & Cbsiph.com to know more about a wide range of equipment suitable for your business needs.